It is a fact that skin tissues age, die, and hang onto the newly born ones in the form of dead skin cells. Not only the composition won’t dry your skin, but the addition of uniformly integrated walnut fragments works as a scrub that exfoliates the outer skin layer to remove dirt and dead cells. Valentine’s Day, birthdays, Mother’s Day…plenty are the occasions to surprise your dear one with an original, highly appreciated gift! 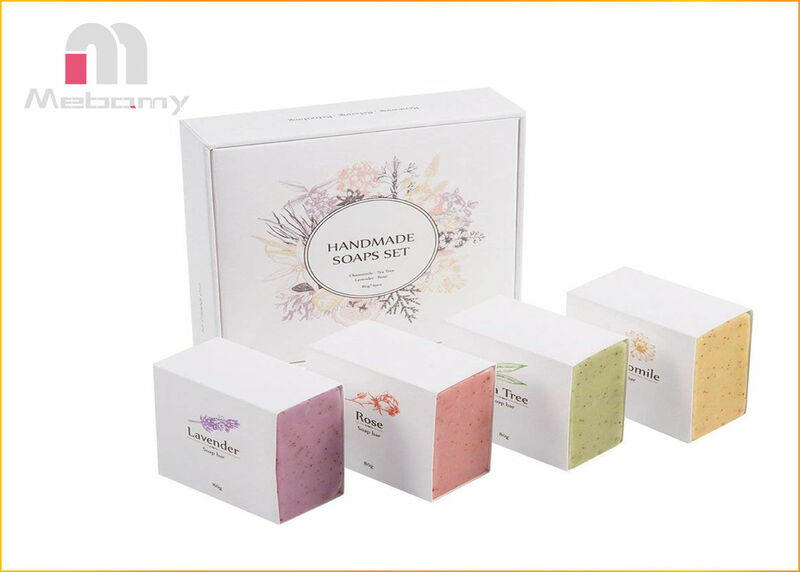 Let her eyes shine and her olfactory sense awaken when she unwraps the elegantly decorated packaging and discovers the four thoughtfully wrapped soaps inside. 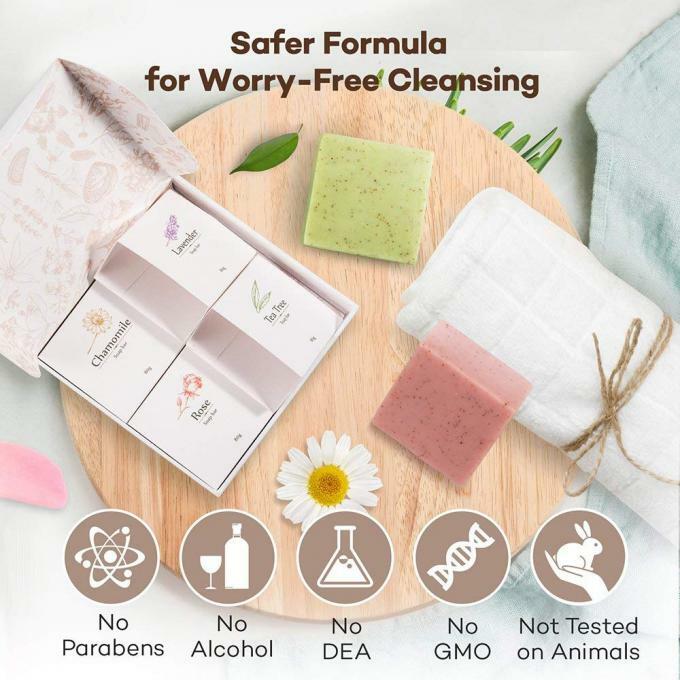 Chosen to help you achieve a deeper, more pleasant body hygiene without any secondary harm, the Hand Soap Set contains no parabens, no alcohol, no DEA, no GMO, and has not been tested on animals. The result is a cruelty-free formula that’s safe, yet effective to use. Rub the soap onto the skin, washcloth, brush, or any bath or shower accessory to create a rich lather. Rinse thoroughly with water. Store on a perforated soap dish away from liquids to extend the life of the soap. Perfect for face, hands, or full-body wash.